Zebra ZXP Series 3 Ribbon - IX Series Black Monochrome Ribbon 1000 Images/roll. 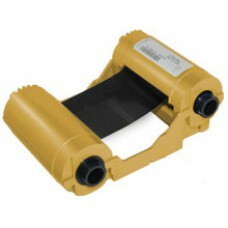 The ribbon is used to print in one color: black (k), This ribbon is compatible with the ZXP Series 3 Printer. Zebra ZXP Series 3 Ribbon - ZX..
Zebra ZXP Series 3 Ribbon - ZXP Series 3 IX Series..